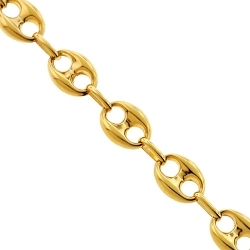 Our handsome mariner link necklace is just waiting to showcase your sophisticated style! 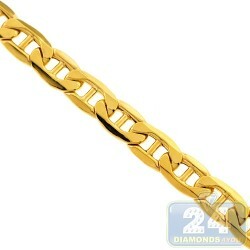 Expertly produced from Italian 10k yellow gold, it is high-polished for a smooth touch and brilliance. 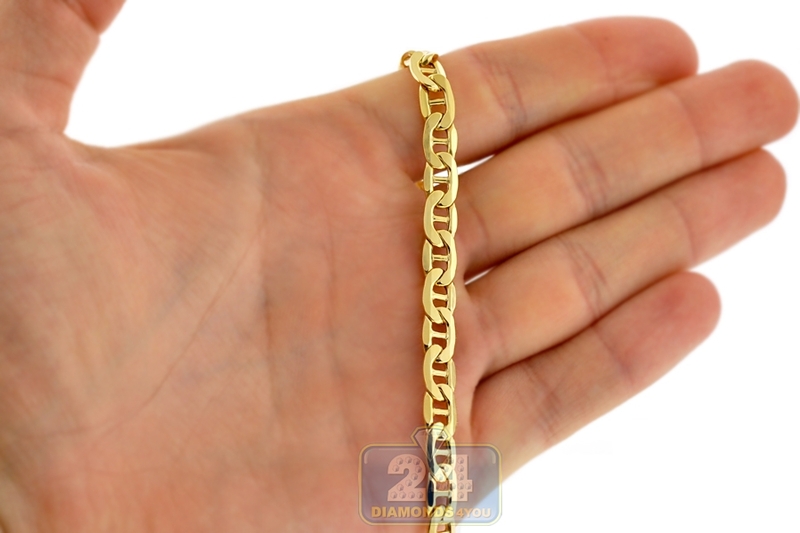 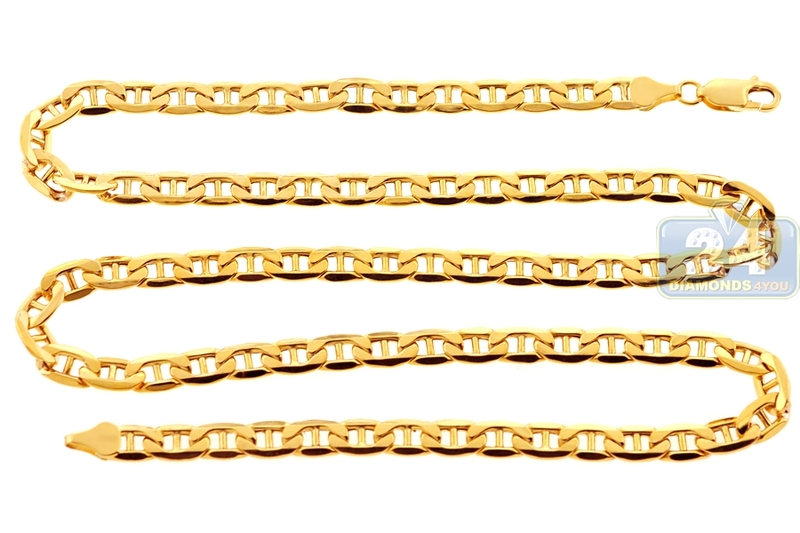 The yellow gold chain has width of 6 mm, and is available in 24, 26, 28, 30 or 32 inches. 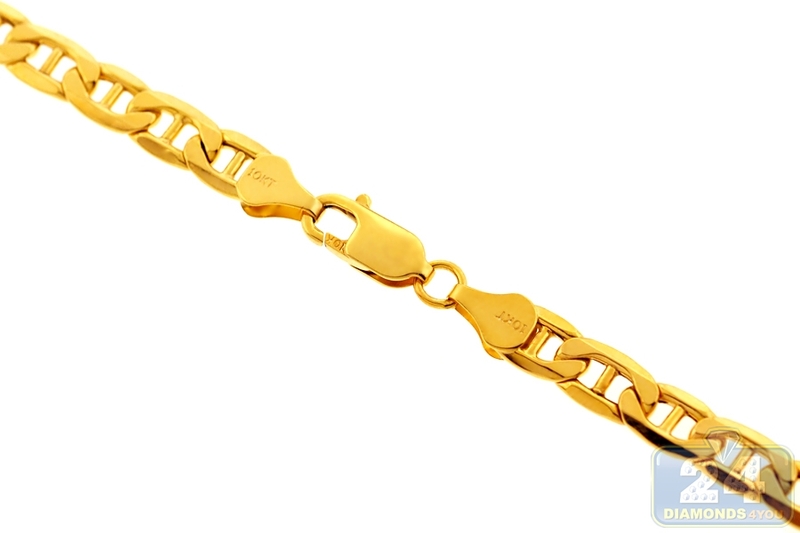 It is also secured by a safe lobster claw clasp. This men's gold chain is a timeless accessory for any occasion!